MPAA Screws Up College Piracy Estimates By Up To 41% | OhGizmo! Novelty Passport Covers – Hello Strip Search! Sometimes I wonder if the people from the RIAA and the MPAA ever sit down and fabricate new ways to pin poor sales of music and/or movies on today’s youth. 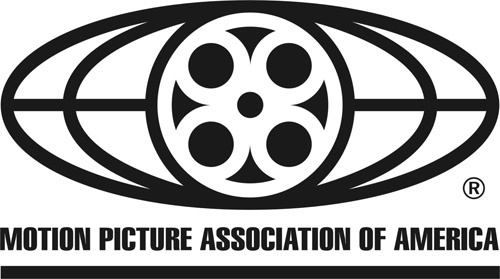 Actually, after reading the latest announcement from the MPAA, I’m almost positive that they do just that. If you remember way back in 2005 they released a statement saying that 44% of their lost revenue comes from college students downloading pirated movies over the campus networks. According to their most recent study, that number was a complete fabrication (they call it human error). Now they would likely argue the point and say that they weren’t making that number up at all However, when their latest reports show that the percentage of revenue lost may actually be closer to 3%, I have trouble believing it. I actually did a little study just now, don’t ask where my figures come from, it’s not important. My study shows that the MPAA and RIAA would regain 110% of the lost revenue from piracy if they would stop spending so much money trying to sue their own customers. You’d be surprised at how many people still actually go to the movies when they’re actually good, and buy them when they come out on DVD. If you’re still worried that my numbers may be a bit off, don’t fret. There’s a chance in a few years I’ll actually do the study and correct them. Until then, just go with it. I’ve only ever met a few hard-core pirates and all of them do it mostly out if spite now. i posted a pretty lengthy rant about the mpaa and riaa on the two blogs i write for yesterday- i won’t reiterate basically this is just one reason that those two institutions will fail, and in doing so will probably take their entire industries (as we know them) down with them. i really can’t stand this behavior. all i have to say is, why make such a big deal about it that only promotes the idea. Your title is totally misleading, as it suggests a factor of 0.41. Thus (let’s be generous 🙂 and round down), the correct title should be “MPAA Screws Up College Piracy Estimates By Up To 1466%”.